The Trakdot Luggage tracker is a small device that fits into a bag and reports city location in real time via email to any smartphone, or via SMS to any standard phone. As long as a your luggage and phone are within mobile networks range, you can track your checked-in luggage anywhere. In case your luggage does not reach its destination (SITA reports 26 million bags are lost every year worldwide), you’ll still know the (approximate) location of your bag via GPS, and should be able to get it back. 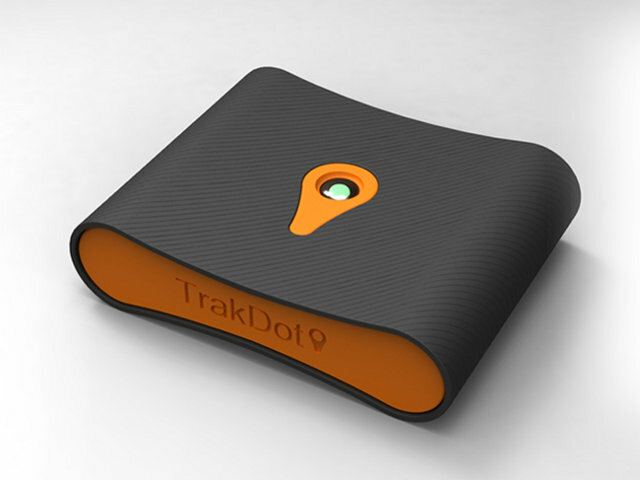 Once the device is registered on Trakdot.com, and placed inside a checked bag, it will deliver location information directly to the user’s mobile phone or SMS device via text or email. It’s also possible to directly check the position on the website, or via Trakdot Luggage app. There will also be a separate app that can alert passengers as their baggage approaches on the carousel at the Airport. The apps do not appear to be available on Google Play nor Apple App Store yet.